Monica has been involved in broadcasting for more than thirty-five years. Her broadcasting career highlights; in 1971, at the age of 16, she became the first female broadcast intern at KGTV, Ch. 10, from Crawford High School. She went on to work for a variety of radio stations as a news reporter and anchor. In January of 1984 she became San Diego’s first female airborne traffic reporter, and soon after – San Diego’s first television traffic reporter for both the NBC and ABC local affiliates and heard on some ten radio stations. Since 1984 Monica has been delivering lectures on driving safety throughout San Diego, Los Angeles and Riverside Counties. Since 1984 to the present, she has received numerous news, safety and community service awards. (See her awards section) Although Monica enjoyed her work as a reporter, she most enjoyed her research and lectures in the community on traffic safety. She wanted to reduce the injury and death she was seeing as a traffic reporter. Since the beginning, she has delivered these lectures on her own time, after work, evenings and weekends – using all her vacation and sick leave hours to deliver her safety message. By representing an EMS agency, she is now able provide safety education almost full-time career. But, due to her passion for safety – she still uses her off hours and vacation hours to lecture outside the city. In the last few years, requests for her life saving talks have come from across the United States. It was during her first year as a traffic reporter in 1984, while conducting research and working with local emergency agencies, trauma room doctors and various transportation and safety organizations, that Monica saw the “crucial” need to add safety education advice to her traffic reports – and to lecture on traffic safety in the community. After eight years of safety lecturing, Monica’s work in traffic safety took on an even deeper meaning, when on June 5th, 1992; her own father was struck and killed by a DUI driver. On that Friday evening, just after 6:00 p.m., Monica’s father was crossing at the corner of El Cajon Boulevard at Jessie Avenue in La Mesa. The investigation showed a vehicle stopped to allow her father to cross. As he started to cross, it was the next approaching vehicle, driven by a 23-year-old DUI driver, that began go around and pass the stopped vehicle. In court testimony, the DUI driver claimed he saw a man crossing the street but thought this man would stop walking to allow him to continue to drive through. But Monica’s father was already in that second lane and the DUI driver, who should have stopped, struck and killed Monica’s 63 year-old father. It was soon found that this 23-year-old driver had a blood alcohol level of .16, twice over the legal limit and he was driving on a suspended license. It was the DUI driver’s 4th DUI arrest and it took her father to stop him – but it also took his life to do it. 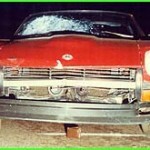 In the picture below is the vehicle that struck and killed Monica’s father. The damage to the front windshield was caused by her father’s head striking the windshield, an indentation to the left front end of the vehicle was where his upper body struck. His body was then thrown some twenty feet into the air coming down head first into the center median across the street crushing his skull and causing his fatal injuries. Again, it was the driver’s fourth DUI arrest. Demonstrating a continued lack of respect for the law. This DUI driver never bothered to go to court to answer for his last two DUI arrests, so there were two misdemeanor arrest warrants pending when he struck Monica’s father. From the first DUI, his license had been suspended and he was driving without driver’s insurance coverage. Sadly, despite this DUI driver’s previous DUI record, he was sentenced to a mere four years in prison. After serving hardly a year and a half of his sentence he was released for good behavior. (But was later thrown back in jail on yet another drug charge a short time later.) 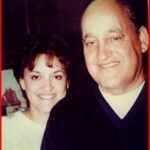 But, Monica’s father is still gone and very much missed by Monica and her family. His death has become a part of Monica’s lectures on the subject of DUI. Although it’s been 20 years since his death, talking about her father is sometimes painful. But it’s important to Monica to take that pain and educate her audiences on how “precious” life is. She also makes it very clear – she speaks in memory of all those killed and injured in preventable traffic collisions every day. But, lightning can strike a family twice! On February 10th, 2005, just before 9 p.m., Monica’s then 24 year-old daughter was struck broadside by a 17-year-old female, unlicensed, DUI driver! Thanks to her daughter’s alertness and quick actions behind the wheel, she was able to avoid a direct side impact to her driver’s door. The young lady did strike the front end of her car then fled the scene – only to be apprehended a couple blocks away. Victoria did suffer some minor injuries to her neck and back, and her vehicle sustained about $4,000 in damages. But, Monica is very thankful her daughter was able to avoid fatal injuries. A year later she was able to see her daughter graduate from paramedic school in June of 2006, and marry a month later. Monica feels very blessed to have seen her daughter achieve two important dreams – to become a paramedic and to marry. Sadly, Monica meets many parents are not so fortunate to see their children achieve their dreams. Research shows many drivers, with suspended licenses from a DUI, continue to drive, often repeating the same driving behavior. That’s why it’s crucial we are always 100% alert behind the wheel and as a pedestrian. Stats also show 40% of motorists drive without insurance, so make sure you have good “un-insured” motorist protection and under-insured motorist coverage on your driver’s insurance policy. As a driver, Monica herself has been a victim several times – hit by distracted drivers and colliding with a STOP sign runner. In the first incident, in 1996, she was struck by a motorist who was busy talking on his cell phone and looking at paperwork across his steering wheel as he flew into a parking lot in Escondido. Monica was in that parking lot, and seeing a flash of red turned to see a large red pick-up truck heading straight toward her driver’s door, she quickly hit the gas speeding forward and the struck her back door area – thus she avoided certain death. Then on August 29th, 2003, Monica was on her way to a CHP office in El Cajon when a motorist ran the STOP sign at the bottom of the ramp from west 8 to East Main Street. The driver ran the STOP by two car lengths and she had failed to look left pulling into directly into Monica’s right of way. Monica was able to slam on her brakes, leaving 22 feet of skid marks, striking the woman’s back door. Monica’s quick reaction saved that driver’s life, but Monica suffered serious injuries and was transported to a local hospital. It was soon found, due to her injuries, Monica would require neck surgery. 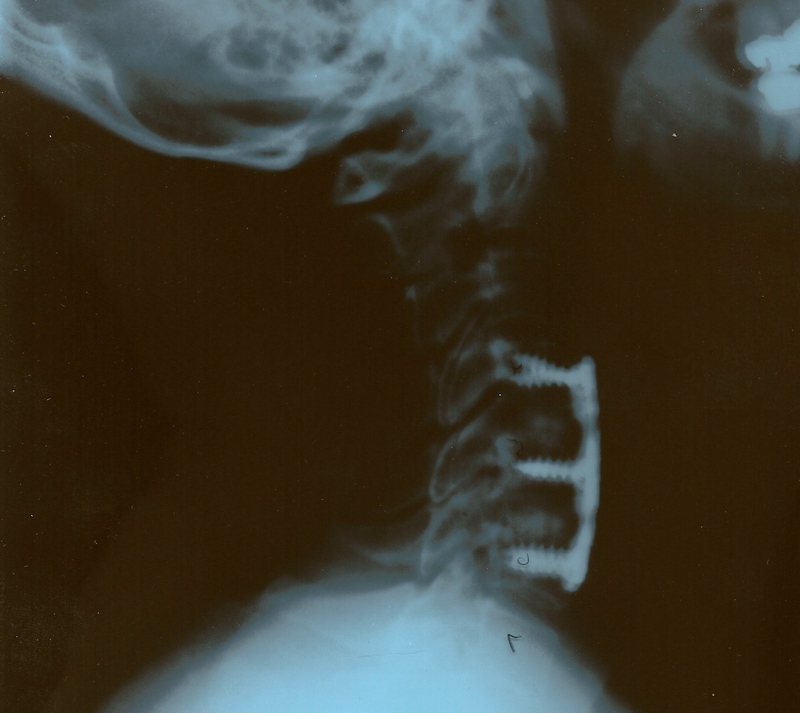 A few months later, just before Christmas eve, she had neck surgery that repaired the C-5 & C-6 area of her neck. Two surgeons said Monica should have been paralyzed by this crash. 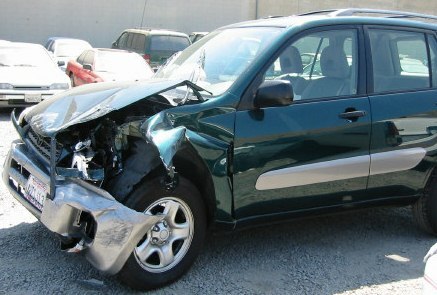 In 2010, she had knee surgery from injuries suffered from this crash. These real-life experiences and those she sees in her work with police and fire, have added even more impact to her talks. Buckle-up and stay alert to stay alive! *For a professional and personal look at what it takes to be a “safe” driver for your school, group, military group or company conference please contact Monica Zech at (619) 219-9030, or email her at monicazech@cox.net. If you are interested in making a request for me to make a presentation to your Company Conference, Company Safety Briefing, to your group or school meeting, class or assembly, and would like references to contact – I have listed several below. Professor Gerald Graf – he is a professor for San Diego State University and National University in San Diego, California. I’ve spoken to his classes for 15 years or more. He also hosted a TV Cable show and a radio show in which I was a frequent guest expert on safety issues, and back-up host. Ms. Polly Rose is the Community Education Coordinator, Student Health Services at Mesa College in San Diego. For the past few years I have been a keynote speaker for her Safe Driving & DUI Awareness days at their Mesa College Campus, most recent was 10/27/10. Mr. Bart Schwarz is a Driver Education teacher at Valley Center High School, and Palomar College in San Diego County. I have been speaking to his driver education classes each year for about 20 plus years. Ms. Lisa Augello is a probation officer in San Diego County, and also teaches Traffic School for teens. I have been speaking to her classes for about ten plus years. Mr. Andy Crossland is the Safety Compliance Official for a major hotel group, and he is a member of several safety organizations in San Diego. I’ve delivered safety lectures to his groups for the past 12 to 15 years. *Visit my Lecture Feedback page on this website – I have posted some recent comments below. Since 1984 I have spoken to thousands of people, of all ages, on injury prevention, my favorite topic & expertise being driving safety. It’s great to hear and see the feedback, especially if my talks have made a difference. Below are some of the wonderful comments I’ve received through the years to date. Could you send me an address where we can send Monica Zech a thank you letter for presenting at our Safety Stand Down? By the way, she delivered the best Traffic Safety/MADD brief I have ever seen!! It was outstanding!! Please accept my sincere appreciation for your support of our squadron’s Safety Stand-Down on January 4, 2016. Stand-Downs provide an opportunity to reflect on a wide variety of safety issues including Traffic Safety Precautions. Your presentation to over 640 individuals provided an opportunity for our sailor’s to reflect on the seriousness of driving safety and the impact of unlawful driving choices. Your training was very effective and will assist them with their decisions. Thank you again for taking time out of your busy schedule to present a very constructive presentation. It is with great pleasure that I express my sincere appreciation for your enthusiastic efforts during the Naval Base Ventura County’s (NBVC) Holiday Safety Stand Down on 18 December 2015. Your outstanding contributions to the United States Navy in utilizing your personal and professional experiences to educate and mentor our community onboard NBVC concerning “Drunk and Distracted Driving” were greatly appreciated. Your energetic performance heightened the learning experience and positively enriched the subject matter to all Sailors. I am truly thankful for your exceptional support provided to the NBVC team and extend you a hearty “Bravo Zulu” for a job well done! I just wanted to thank you again for taking the time to talk to my command. I’ve heard overwhelmingly positive feedback about the talk from my people. It made the issue so real to them and they appreciated that. Thank you for what you do, and if we can help you out in the future please let us know. Happy Thanksgiving! Following my presentation to Sage Creek High School Students and their parents on October 22, 2015. Thank you for being such an awesome speaker! I loved the event and so glad it was well attended. Sage Creek High School, Carlsbad Ca. Thank you for taking time out of your day to come speak to the Wolfpack on Monday. Your presentation was extremely impactful and provided quality education to our sailors. We greatly appreciate your effort in making our stand down a success! Thank you so much for speaking at Valhalla. I heard so many positive things from adults and students about your talk, thanks for helping us with our mission to change driving behavior! Hope to have you back. Thank you again for taking your whole day for us. Your presentation was the most impactful I have seen in my 12 years! Have a safe flight home. Mr. Sprague was killed on northbound 805 in San Diego, California, near Murray Ridge as he attempted to merge into lanes. An aggressive-reckless driver, speeding and weaving through traffic, struck Mr. Sprague’s vehicle causing him to roll off the freeway. The driver who struck and killed Mr. Sprague had a history of reckless driving. Sadly, aggressive driving kills and injures motorists everyday on our roadways. This type of driving often leads to the “road rage” factor. My safety lectures addresses “aggressive driving” and how to curb “road rage.” I talk about how to deal with stress & road rage, either your own rage or that of other drivers. My lectures will open your eyes to the dangers and how you can reduce these dangers on our roadways. First, “we” have “NO” control over other drives, but we do have control of our “own actions.” In the 1990’s I was honored to assist with research on road rage with San Diego State University and the National Highway Traffic Safety Adminstration (NHTSA). In my talks I provide my audience with a “professional and personal” look at what it takes to increase your survival on our streets and highways! I provide tips on how to avoid making the same mistakes others have made that caused their collision. My goal is to make you more aware of these problems that surround us and to reduce the “risk factors” of having a collision. If you’d like me to speak to your group please email your request to: monicazech@ cox.net – or go to the contact section of this website. What If You Killed Your Best Friend Driving Under The Influence?